One of the many challenges businesses face today is this: Customers (for the most part) want things fast. At the same time, customers (for the most part) want things personalized. It’s a real challenge for an organization to deliver on both of those wants. Many companies choose one of the two. In effect they’re saying, “If you want it fast, it won’t be personalized. If you want it personalized, it won’t be fast.” The result, of course, is that because only 50 percent of their wants are satisfied, customers end up disappointed, or at least indifferent in regard to the company’s efforts. And customer disappointment or indifference are loyalty killers. With some thought and creativity, there are ways to satisfy both customer wants. It just takes a commitment to dedicate thought and creativity to the issue. Here’s my new favorite example of a company dealing with the speed/personalization challenge. I’ve been an amateur magician for most of my life. I’m aware that magicians are often portrayed as “geeky” on TV, but I’ve always loved the hobby. And now that I have grandkids, I’m able to practice my craft again – it’s pretty easy to fool a four-year-old (although my granddaughter has been known to say, “Papa, the quarter is in your other hand”). Lack of skill notwithstanding, I sometimes order magic tricks from online magician supply stores. They pretty much operate the same as any online retailer; go to their website, choose a product, check out, then wait for the product to be delivered. Pretty standard stuff in today’s cyber-driven market. One online magic shop, however, did something that impressed me. Penguin Magic did a little personalization of the experience. During the time gap between ordering the product and receiving the product, they emailed me a short video of my order being packaged for shipping. And it wasn’t just a stock video that they use for every order. It was a video of my purchase being prepared. My name was on the packing slip. It made me feel special, and also let me know that my purchase was on the way. I was impressed. Click here to check it out. Yes, filming the packaging process took some effort. But it’s obvious from the video that a simple smartphone camera was used. There are no video production bells and whistles, and it’s only 29-seconds long. And since many online retailers send a notice anyway when the product is shipped, it was a pretty simple matter to attach a link to the video. But I’d never seen this before, and I was impressed. Impressed enough that my next order will likely go to Penguin Magic. I contacted a tech helpline regarding a software issue I was having. The representative was very helpful during the call, and offered to send me an email with a link to a short video tutorial with additional information. Clicking on the link, I found a quick video of my rep introducing the tutorial, using my name, and telling me how much they appreciate my business. The rep obviously shot the introduction using a webcam, then simply attached it to the video tutorial. If this is the company’s standard practice, I’m guessing they have this process down to around 60-90 seconds. But I was impressed, and I remember the experience because it stood out. I was recently getting product help via online chat with a company representative. A photo of the rep accompanied each of her responses. This practice isn’t all that unusual. But in most cases the photo is so ridiculously small that it might as well not be there. This rep’s photo was large enough that there was a feeling of a personal connection. Amazon is, of course, recognized as the innovator when it comes to online personalization. Their system is a complicated series of algorithmic (yes, that is a word) magic that I will never understand. But when you peel away the sophisticated technology, Amazon is simply providing recommendations tailored to you, and giving you access to other customers’ opinions of the product you’re researching. Working on the rides at Walt Disney World, one of the cast member responsibilities is to load guests onto the attraction quickly and efficiently. A cast member often has just seconds of contact with each guest, if that. In order to personalize the experience, cast members use eye contact and friendly smiles. But they also use little tricks, such as commenting on what appears on a guest’s t-shirt, calling a child by name by reading his/her name stitched on the back of their Mickey Mouse ears, calling a child dressed up as a Disney princess by her princess name, etc. Such practices create a moment of personal connection in a high volume, fast-paced environment. I recently received a package with a product I had ordered. The first thing I saw when I opened the box was a handwritten note thanking me for my purchase. And I know it was handwritten because it started with, “Dear Mr. Snow…” It was a short note, but I was impressed with the personalization. The epitome of personalization in an era of commoditization is Coca Cola’s practice of putting people’s names on bottles. 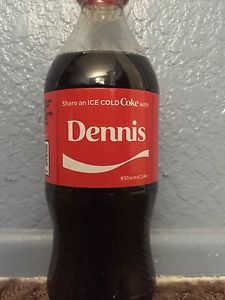 I’m certain this is a fairly expensive practice for Coke, but I’ve lost count of the number of photos I’ve seen on social media with people sharing their name-embossed Coke bottle. The result is millions of dollars in free advertising for Coke, all because of a personalized experience. These examples, and many more, demonstrate that with some thought and creativity it is possible to satisfy customers’ wants for speed and personalization. Something to think about: How can you take the impersonal aspects of your business, and make them personal?